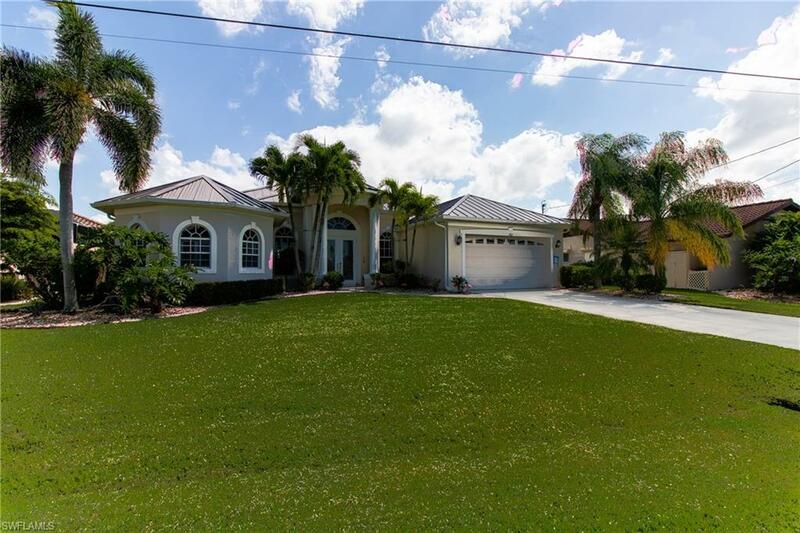 4821 SW Santa Barbara Ct, Cape Coral, FL 33914 (MLS #218068634) :: Clausen Properties, Inc. 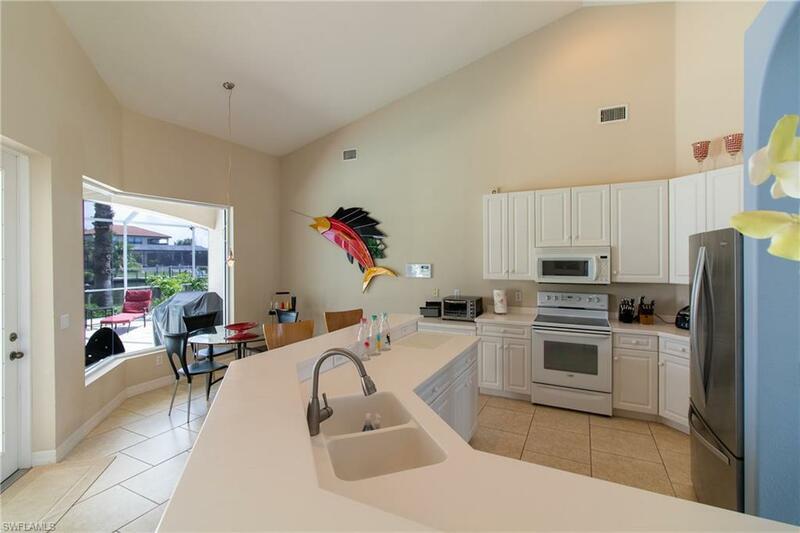 Direct Access to the Gulf - AVAILABLE 2020 SEASON Vacation Pool home on Canal 3 bedrooms 2 baths, Sailboat access - only minutes and you are out on your way to the ocean. 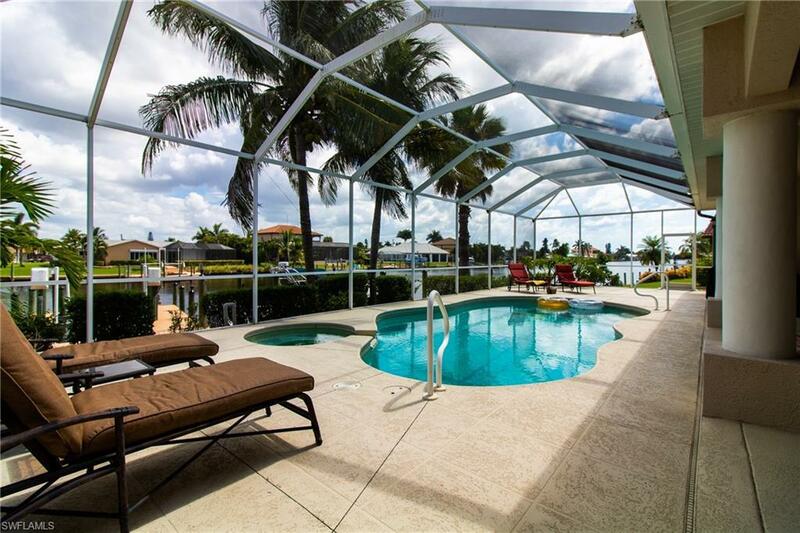 Stunning views from the extra large lanai along the wide and beautiful gulf access canal. Close to shopping, restaurants and downtown Cape Coral - Gorgeous custom built home with wooden floors and oversized tile floors. 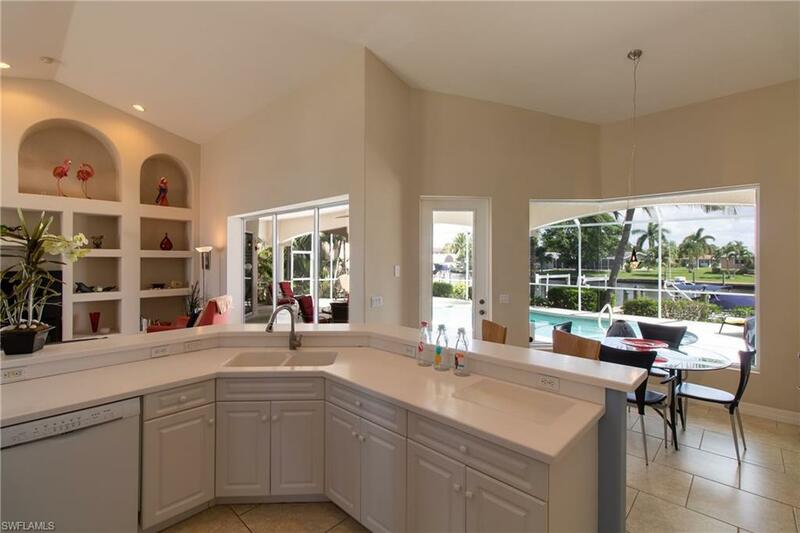 High ceilings, light and bright, open floor plan, Master bedroom spacious king size bed overlooks pool lanai with a full size walk in closet His and Her sinks, walk through shower and Full size tub. Guest Bedroom #1 has a queen size bed, TVGuest Bedroom #3 has a queen size bed and overlooks the lanai. Lots of upgrades. Beautiful pool with jacuzzi and a very private spacious pool area surrounded by lush tropical trees and bushes. Large dock with captain's walk, availability for tie up at the dock. Lift is not available - garage is not available for car storage. Plenty of space on the driveway. Owners closet is located inside the master bedroom walk in closet, plenty to do and see here! Bring a swimsuit and toothbrush. Cable and Wifi included in any seasonal rental, caps on Electric and water.